Our range of products include monomethylamine 40%, dimethylamine 40%, monoethylamine 70%, diethylamine, triethylamine and di methyl amino ethanol ( dmae ) / ( dmea ). 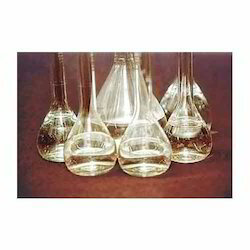 It is sold as a solution in methanol, ethanol, tetrahydrofuran, or water.It has a strong odor similar to fish.The preparation of some surfactants and photographic developers require methylamine as a building block and commercially significant chemicals produced from methylamine include solvents N-methylformamide and N-methylpyrrolidone. acetamide are derived from dimethylamine.The surfactant lauryl dimethylamine oxide is found in soaps and cleaning compounds.It reacts with carbon disulfide to give dimethyl dithiocarbamate, a precursor to a family of chemicals widely used in the vulcanization of rubber. of dyes, medicine, surfactants, herbicide,rubber vulcanization promoter and ion exchange resin, etc. It is a flammable, weakly alkaline liquid that is miscible with most solvents. 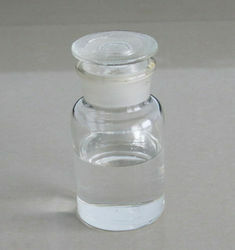 It is a colorless liquid, but commercial samples often appear brown due to impurities. It has a strong ammonia-like odor.It is used in the production of corrosion inhibitor N,N-diethylaminoethanol, by reaction with ethylene oxide. It is also a precursor to a wide variety of other commercial products. It is a colourless volatile liquid with a strong fishy odor reminiscent of ammonia and is also the smell of the hawthorn plant.Triethylamine is mainly used in the production of quaternary ammonium compounds for textile auxiliaries and quaternary ammonium salts of dyes. It is also a catalyst and acid neutralizer for condensation reactions and is useful as an intermediate for manufacturing medicines, pesticides and other chemicals. It is a colorless viscous liquid. It is used in skin care products. It is prepared by the ethoxylation of dimethylamine.The acrylate ester is used as a flocculating agent.The bitartrate salt of DMAE, i.e. 2-dimethylaminoethanol (+)-bitartrate, is sold as a dietary supplement. It is a white powder providing 37% DMAE. Diethylethanolamine is used as a corrosion inhibitor in steam and condensate lines by neutralizing carbonic acid and scavenging oxygen. It is chemically stable and able to absorb carbon dioxide (CO2) from its surroundings. In solution, it can decrease the surface tension of water when the temperature is increased. Phenoxyethanol is a germicidal and germistatic glycol ether, phenol ether, and aromatic alcohol often used together with quaternary ammonium compounds.Phenoxyethanol is used as a perfume fixative; an insect repellent; an antiseptic; a solvent for cellulose acetate, dyes, inks, and resins; a preservative for pharmaceuticals, cosmetics and lubricants; an anesthetic in fish aquaculture; and in organic synthesis.Phenoxyethanol is an alternative to formaldehyde-releasing preservatives. 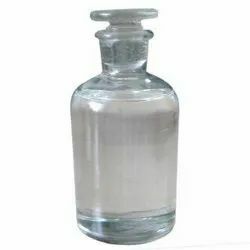 Dimethylformamide is a clear liquid with a slightly unpleasant odor due to dimethylamine impurity; miscible with water and with most of organic solvents. 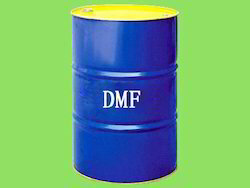 DMF is a stable compound with a relatively low vapour pressure and high boiling point. DMF is not stable and can cause fires or explosions when it contacts with strong bases, strong acids, metallic halogenated hydrocarbons, or oxidizers. It is known that DMF can undergo a violent decomposition reaction when contact with sodium hydride. DMF is prepared by the reaction of dimethyl amine and formic acid. N,N-Dimethylformamide is the formic acid amide with two methyl group substituents on the nitrogen atom. The good water solubility, high dielectric constant, high boiling point, and organic properties of DMF find main use as a solvent in industry particularly for acrylic fibres an polyurethanes. It is also used as a reaction medium in pharmaceuticals and pesticides productions. DMF is used in the Grignard reagents reactions. It facilitates the SN2 reaction mechanism. It is used as an intermediate and an additive. Other applications include special solvent for welding gas, ingredient in paint strippers, wire enamel resins, and for electrolytic capacitors. 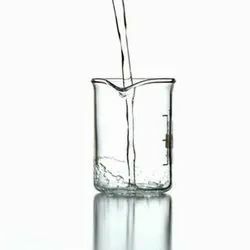 Pure diethanolamine is a white solid at room temperature, but its tendency to absorb water and to supercool mean it is often encountered as a colorless, viscous liquid.DEA is used as a surfactant and a corrosion inhibitor.DEA is used in the production of diethanolamides, which are common ingredients in cosmetics and shampoos added to confer a creamy texture and foaming action.In oil refineries, a DEA in water solution is commonly used to remove hydrogen sulfide from sour gas. 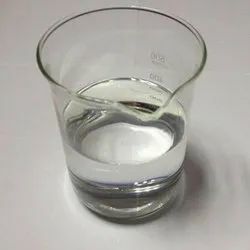 Ethanolamine is a colorless, viscous liquid with an odor reminiscent of ammonia.It is used as feedstock in the production of detergents, emulsifiers, polishes, pharmaceuticals, corrosion inhibitors, and chemical intermediates. Morpholine is a common additive, in parts per million concentrations, for pH adjustment in both fossil fuel and nuclear power plantsteam systems. Morpholine is used because its volatility is about the same as water, so once it is added to the water, its concentration becomes distributed rather evenly in both the water and steam phases. Its pH-adjusting qualities then become distributed throughout the steam plant to provide corrosion protection. Morpholine is often used in conjunction with low concentrations of hydrazine or ammonia to provide a comprehensive all-volatile treatment chemistry for corrosion protection for the steam systems of such plants. Morpholine decomposes reasonably slowly in the absence of oxygen at the high temperatures and pressures in these steam systems.Morpholine is used as a chemical emulsifier in the process of waxing fruit. Naturally, fruits make waxes to protect against insects and fungal contamination, but this can be lost as the fruit is cleaned. A small amount of new wax is applied to replace it. Morpholine is used as an emulsifier and solubility aid for shellac, which is used as a wax for fruit coating. N-Methylpyrrolidone (NMP) is a slowly evaporating liquid with low viscosity and excellent solvency power. NMP is colorless, has a faint amine odor and is soluble in water and conventional organic solvents. NMP is used in a wide range of industrial applications, including process chemicals, engineering plastics, coatings, agricultural chemicals, electronics, paint stripping and cleaning, adhesives and pigment dispersions. Although NMP is used in industrial chemical processes, consumers may potentially come into contact with NMP through the use of certain commercially available products, such as certain paint removers or cleaning agents. NMP is classified as a combustible liquid and will sustain a fire,when ignited. 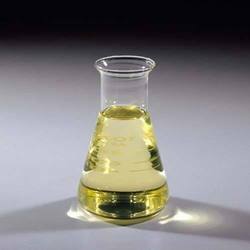 Triethanolamine is a strong base.It is a colourless compound although samples may appear yellow because of impurities.Triethanolamine is used primarily in making surfactants, such as for emulsifier. 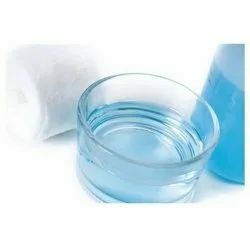 It is a common ingredient in formulations used for both industrial and consumer products.The triethanolamine neutralizes fatty acids, adjusts and buffers the pH, and solubilizes oils and other ingredients that are not completely soluble in water.Some common products in which triethanolamine is found are sunscreen lotions, liquid laundry detergents, dishwashing liquids, general cleaners, hand sanitizers, polishes, metalworking fluids, paints, shaving cream and printing inks.Triethanolamine is also used as organic additive (0.1 wt%) in the grinding of cement clinker. It facilitates the grinding process by preventing agglomeration and coating of the powder at the surface of balls and mill wall.TEA is a fairly strong base: a 1% solution has a pH of approximately 10, whereas the pH of skin is less than pH 7, approximately 5.5−6.0. Cleansing milk–cream emulsions based on TEOA are particularly good at removing makeup.TEA is now commonly and very effectively used as a complexing agent in electroless plating. 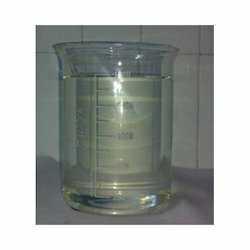 A clear, viscous, hygroscopic liquid at room temperature.An intermediate in the manufacture of cosmetics, surface-active agents, textile specialties, waxes and polishes, herbicides, petroleum demulsifiers, toilet goods, cement additives, cutting oils, and photographic film developers; corrosion inhibitor; dispersant for dyes, casein, shellac, and rubber latex; sequestering agents; a rubber chemicals intermediate. Triisopropanolamine (TIPA) is a basic chemical used in many applications serving as emulsifiers, stabilizers, chemical intermediates and neutralizers that achieve basicity, buffering and alkalinity objectives.This triisopropanolamine is a low freeze grade variation of TIPA for easier handling in colder ambient temperatures (freezing point: 5ºC/41ºF). It is a blend of 85% TIPA and 15% deionized water.Major applications include water-based coating applications and agricultural products. Additional applications are antistat agents for polymers, corrosion inhibitor, electrodeposition/electrocoating, lubricants, paper, pigment dispersion, plastics, polyurethane additive, reaction intermediates, rubber curing, surfactants, mineral dispersion, and urethanes.Grinding Aid in Cement and Concrete. DI ETHYLENETRIAMINE is colourless hygroscopic liquid is soluble in water and polar organic solvents, but not simple hydrocarbons. Diethylenetriamine is structural analogue of diethylene glycol. Its chemical properties resemble those for ethylene diamine, and it has similar uses. It is a weak base and its aqueous solution is alkaline. DETA is a byproduct of the production of ethylenediamine from ethylene dichloride. Isophorone diamine (usually shortened to IPDA) is a diamine with the formula (CH3)3C6H7(NH2)(CH2NH2. It is a colorless liquid. It is a precursor to polymers and coatings. It is a curing agent for epoxy resins. When used in coatings applications the higher cost compared to other amines is justified by the enhanced UV stability and thus lower yellowing tendency. regulatorsor herbicides, strongly basic anion exchange resins, dye leveling agents and a number of basic dyes. It is primarily used as a crosslinker ("hardener") in epoxy curing. DMA is prepared by the reaction of dimethylamine with acetic anhydride or esters of acetic acid. Dehydration of the salt of dimethylamine and acetic acid also furnishes this compound. Dimethylacetamide is commonly used as a solvent for fibers (e.g., polyacrylonitrile, spandex) or in the adhesive industry. It is also employed in the production of pharmaceuticals and plasticizers as a reaction medium. It is an important Lewis base used to establish the ECW model. Dimethylacetamide is also used as an excipient in drugs, e.g. in Vumon (teniposide), Busulfex (busulfan) or Amsidine (amsacrine). Diisopropanolamine is a chemical compound with the molecular formula used as an emulsifier, stabilizer, and chemical intermediate.Diisopropylamine is primarily used as a precursor to two herbicides, diallate and triallate, as well as certain sulfenamides used in the vulcanization of rubber. 2-Pyrrolidone is used as a solvent for surface treatment for textiles, metal coated plastics, polymers, and paint removing. Pyrrolidone and its derivatives are used as Intermediates for the synthesis of agrochemicals, pharmaceuticals, textile auxiliaries, plasticizers, polymer solvent, stabilizers, specialty inks and as a nylon precursor.